This article outlines how to edit your Prospect 365 profile. 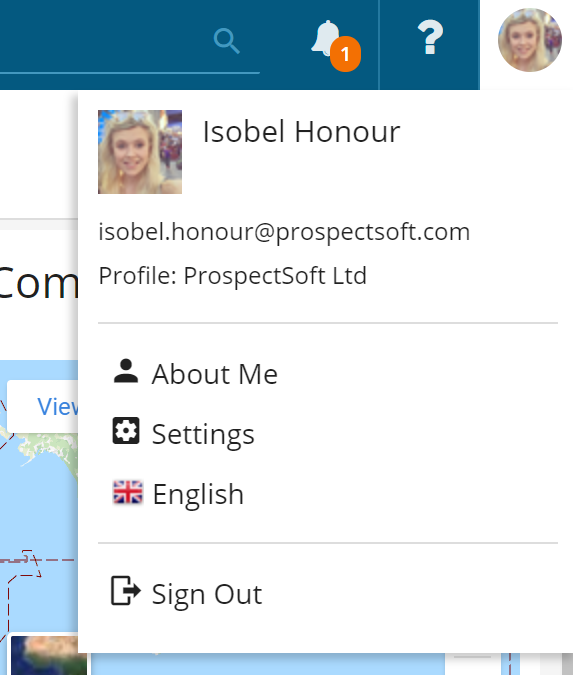 To edit your Prospect 365 profile, you will need to first login to the My Prospect 365 portal via my.propect365.com. Once logged in, click on your user icon in the top right-hand corner & choose the About Me option. This will then open the About Me page, where you can choose to 'Edit Profile'. 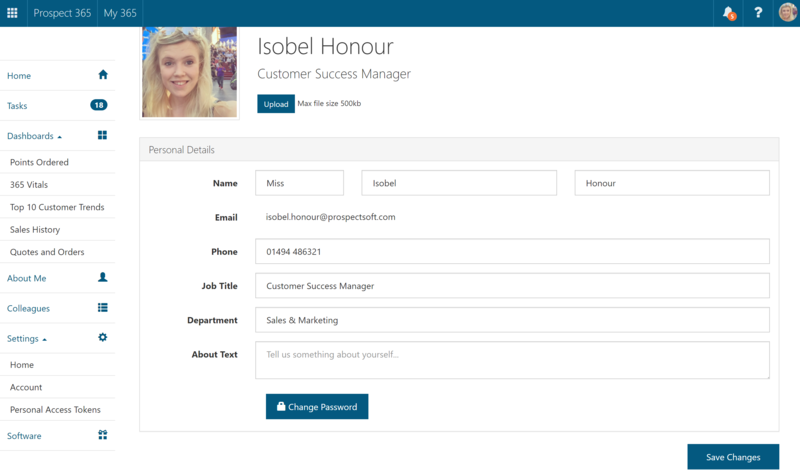 Within the Edit Profile section you can alter your Profile Image, Personal Details & change your password. To change your profile picture click on the upload button & choose an image from your file browser that you wish to use as your profile picture. Once you have edited your personal details, click Save Changes to ensure your changes have been saved.